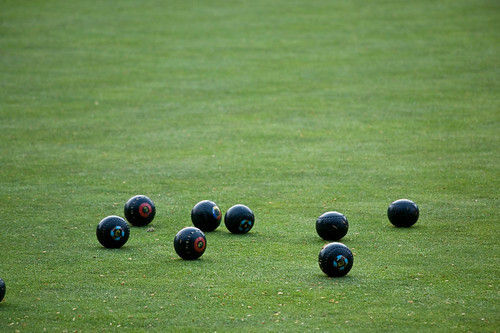 ‘Tis the season for Wednesday evening summer lawn bowling. This is a call out to all the ladies of Seattle who might want to consider joining this fabulous, but little known, summer outdoor activity on Beacon Hill. 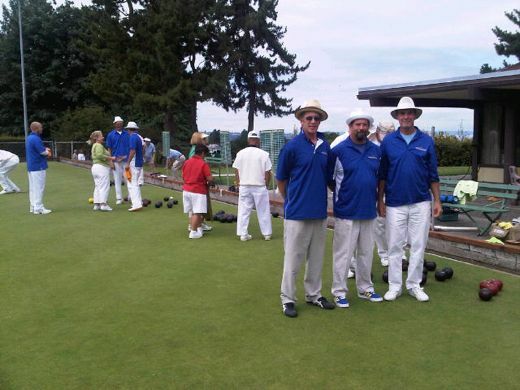 We are the Beacon Hill Bowl Busters — a women’s league at the Jefferson Park Lawn Bowling Club working hard to walk the friendly line between social and competitive. The season goes from June 6 to August 1. We are an eclectic group of women lawn bowlers. We bowl every Wednesday evening from 7 til you pretty much feel done or we get kicked off the greens. We have created a light-hearted, socially-competitive environment. We like to get our drink on and have a permit to do so on Wednesday evenings. We welcome people who don’t want to get their drink on. We fire up the grill and welcome food. We have a blast bowling together. We have an amazing million-dollar view. You do not need to know how to bowl. You enjoy unpredictable outdoor Seattle weather. You want to be around interesting people and want to have a good time. The weather yesterday and today makes summer seem a long time off. 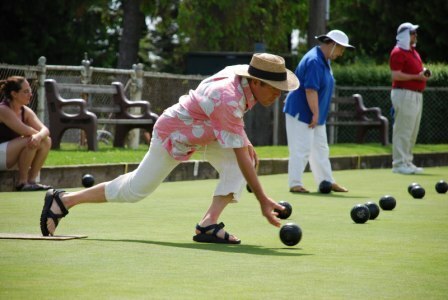 But it’s coming soon, and the Jefferson Park Lawn Bowling Club wants you to make note of some of their summer events. 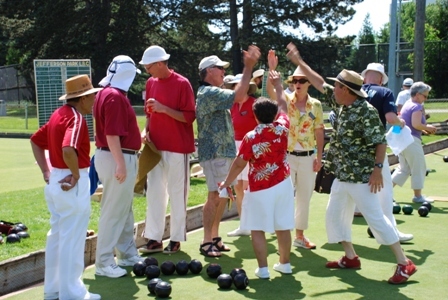 Friday Night BBQ and Bowls will happen each Friday night from June 1 through August 31 (except for July 27), from 6 p.m. until dusk. 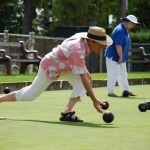 This event is free, and open to anyone interested in trying lawn bowling. No experience or equipment is needed — just bring flat-soled shoes and something for the grill. Donations are welcome; alcohol is not. 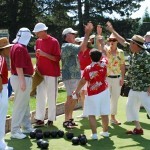 On the Fourth of July, the Club is holding its annual Ice Cream Social and Bowls event from 7 – 10:30 p.m. This event is also free and open to anyone who is interested. Bring flat-soled shoes, and don’t bring any alcohol — it’s not allowed at this public event. Everything else is supplied by the Club. 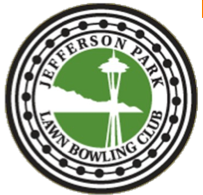 The Jefferson Park Lawn Bowling Club is located at 4103 Beacon Ave. S. The Club is an all-volunteer non-profit organization, founded in 1942. Photo by Kayugee via Flickr/Creative Commons. City Councilmember Tim Burgess. 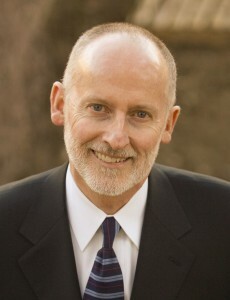 Photo courtesy of Seattle City Council. 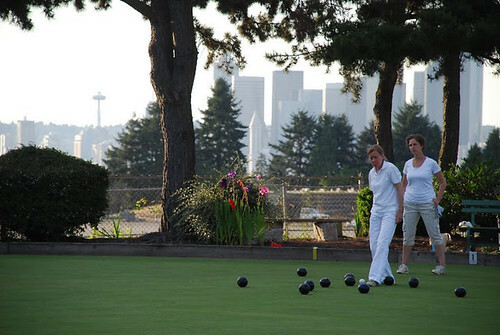 Judith Edwards and Jodie Vice would like to invite you to join them for an evening of lawn bowling with Seattle City Councilmember Tim Burgess on Monday, September 12 from 5:30-7:30 p.m. at the Jefferson Park Lawn Bowling Club. Burgess chairs the City Council’s Public Safety and Education Committee. He’ll be here on the Hill to enjoy some late summer lawn bowling and find out what’s important to Beacon Hill residents. Food and beverages will be provided. 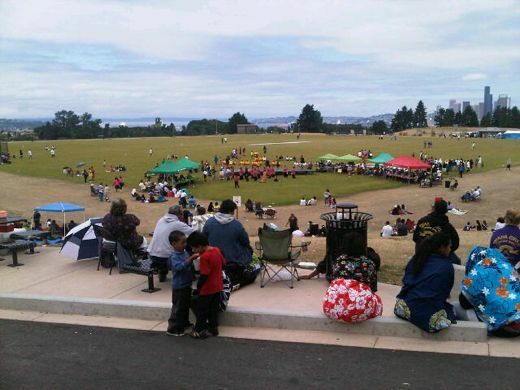 Spectators gather around the Jefferson Park cricket pitch. Nearby, lawn bowlers enjoy the morning.